Change is constant when it comes to search engine optimization, and successful marketers know that they must reassess their strategies regularly. Marketplace fluctuations and adjustments to Google’s algorithm are just two of the factors that businesses must consider when developing an SEO plan. MDG Advertising’s new infographic reveals the SEO updates that will affect your rankings this year. Offering engaging, valuable content has always been essential, but site quality has become even more important in 2017. A high Google Search Rank is associated with several factors, including the number of visits and the bounce rate. Google is committed to sending visitors to pages that are both popular and interesting. In-depth content containing between 2,250-2,500 words was shown to be the most effective. Mobile marketing has been relevant for several years; however, recent studies have shown that consumers are now using smartphones as their default devices. This has had a profound effect on search behavior—today, more Google searches take place on smartphones than on computers. Search queries have also become more localized as consumers conduct their searches while on the go. Consumers using the phrase “near me” in their searches has doubled throughout the past year. 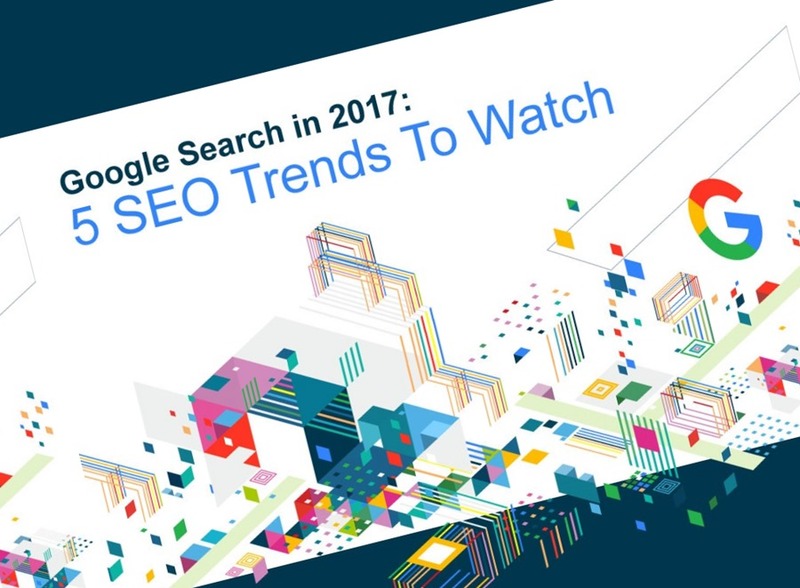 Ultimately, 2017’s SEO trends are changing the way marketers approach SEO. Many businesses have devoted ample time and resources to traditional SEO tactics, but the most successful marketers will go beyond tried-and-true approaches. Keywords alone cannot drive a website to the first page of results—valuable content, site quality, and a seamless mobile experience are vital to SEO success.